Agent John Corey and his wife Kate Mayfield have just been posted overseas in Yemen. Their mission is to track down the Panther, a high ranking Al Qaeda operative. But once they arrive in Yemen they realize the reason they were sent to Yemen was not to track down the Panther but something much more sinister. This book doesn’t actually pick up until the end and when you read a book that is six hundred and twenty-five pages long you expect more than just build up for what takes place in the last one hundred pages. Most of the book is dialect and meeting new characters, with only four or five actual action scenes. John Corey is always making sarcastic comments, whether in his head or to the people around him, this does start out as funny making the novel a little more light-hearted but it soon becomes tedious since he seems to be complaining about every little thing that takes place. However the intrigue is certainly there but it is so drawn out that I couldn’t sit and focus on this book at one time, I kept putting it down and reading a different book. It took me four days to make it through this book, and considering I read a book a day that is saying something. 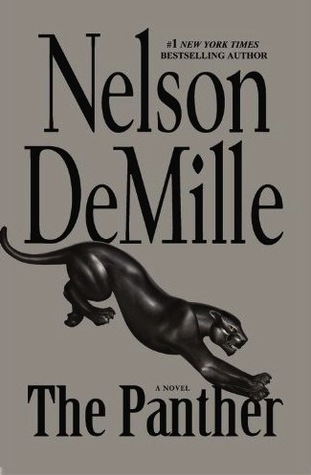 I can’t judge whether this is just one of those books that was a “miss” for the series since this is the first Nelson DeMille book that I have ever read, but the writing and storyline leads me to believe that the others may have been better than this one. I must admit though the ending is superb even if you have to wade through some uninteresting content to get there.